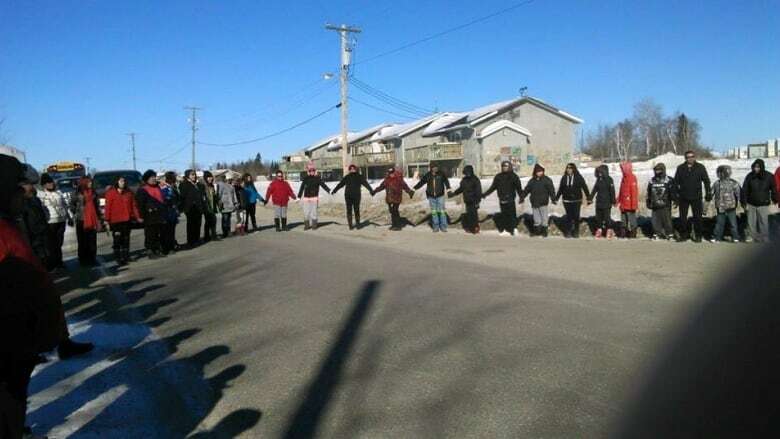 More details are emerging about the circumstances surrounding the six suicides that sparked a state of emergency in a northern Manitoba. Pimicikamak Cree Nation (Cross Lake) declared a state of emergency this week after the deaths of six people by suicide since Dec. 12. Two of the cases involved teens who were in the care of child and family services, while one case involved a mother whose children had CFS involvement – that's according to a briefing note from the community's band office. In the first case, on Dec. 12, a homeless woman in her early 20s took her life at a temporary place of residence. The second, just over a month later, involved a female teenager who was in CFS care. The band believes a possible suicide pact was at play in this incident. At that point, 36 youth in the community were identified as high risk of committing suicide. The third came on Feb. 5, when a male teenager took his life in a foster home. He was on the high risk list and had just returned to Cross Lake after being discharged from the Health Sciences Centre's child and adolescent psychiatry unit. By Feb. 29, the at-risk list grew to 100 young people. That day, a female teenager took her own life at her grandparents' home. She was not on the at-risk list at the time. The last two incidents involved a mother of three children who had an active file with CFS and a Cross Lake band member who was living off-reserve at the time. On Wednesday, acting chief Shirley Robinson called on Health Canada to send a crisis team to the community and said there were 170 students on a suicide watch list at the community's high school. A number of Manitoba's ministers, including family services minister Kerri Irvin-Ross, addressed the crisis in Winnipeg, saying a mobile crisis unit had been sent to the community from Thompson, Man. On Thursday, the number of young people on the at-risk list was revised to 100 after the band cross-referenced lists from multiple local youth agencies. According to Aboriginal Affairs, about 5,800 people live on the reserve.